E.B. White is, of course, famous for co-authoring The Elements of Style, and writing several timeless children’s books. Your writing could be limited to sending a few e-mails or you could be producing more elaborate documents like reports, proposals or procedures, but think about it: How many words have you written cumulatively so far? By a conservative calculation, say you send out five e-mails per day each about 40 words long over 22 working days for 11 working months in a year and multiply that by 10 years of work experience, you have also written nearly half-a-million words so far, if not more. But what is the current trajectory of your written communication skills? If your skills have been on a plateau for a long time, you are not alone. Most people, despite using their writing skills every day, continue to struggle to express themselves clearly, commit the same mistakes and remain ignorant about good writing practices. When you talk about improving your writing skills, you may start worrying about your not-so-tight grip on grammar rules or vocabulary. These things matter, of course, but the easiest way to superior writing is to tweak the very process you use to write anything — and splitting it into three distinct stages: thinking, writing and revising. 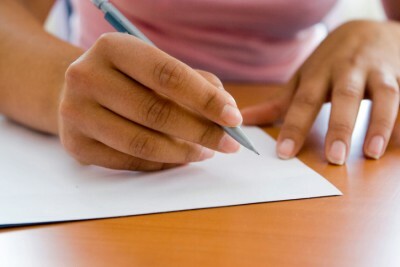 What’s the objective of the e-mail, letter or report you are writing? Who will read what you are writing? What is their background and concerns? What are the key points you should cover? What action(s), if any, do you expect from your reader(s)? The main reason behind vague, incomplete e-mails or reports is not necessarily the poverty of language skills; often, it is insufficient thinking before writing. Conversely, a precise, to-the-point piece of writing is always a product of someone’s investment in thinking prior to writing. Remember, clear thinking is the way to clear writing. Once your mind has been primed, just start writing — don’t worry too much about grammar, punctuation and tenses. If you start checking your writing at every step, you will lose momentum and break the thread of what you want to say. Let your ideas and thoughts flow, because you will get an opportunity to fix any problems later on. It is a good practice to leave your document for a few minutes or — if you have the time — a few hours or even overnight, and look at it with fresh eyes later. You will find that you are able to spot more mistakes and areas for improvement when you have had some time away from the document. The impact of following the “Think, Write, Revise” strategy (TWR) will be immediate and tangible: You will write more clearly, concisely and make fewer errors. Part 2: practical tips on good writing practices and common grammatical pitfalls.